Training Master your Nerves Reach your Audience Deliver your Message. Have you ever seen a presentation that has blown your mind? Or heard a speech that has moved you to tears? Or been in a meeting where an idea has come across with such passion you have been inspired to make it a reality? Being able to perform well in media interviews, at conferences, meetings and launch events is an essential business skill, but it doesn’t always come naturally. 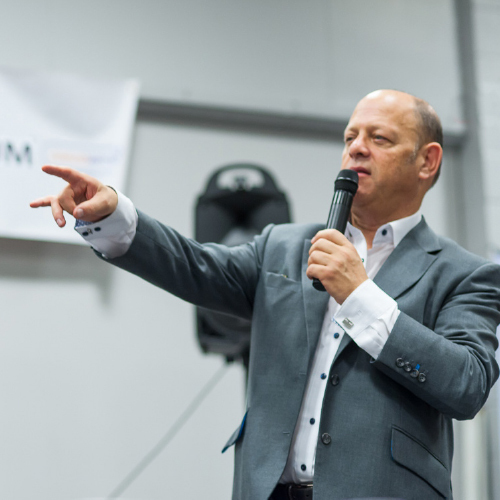 With over 25 years’ experience in public speaking, Jeremy offers a range of solutions for teams and individuals to help you become a more effective, persuasive and inspirational speaker. To give you the tools so you can have the greatest impact, Jeremy shares his teachings and techniques through a range of popular masterclasses and workshops along with bespoke training sessions designed to suit your goals to ensure you and your team get exactly what you need. Master your nerves. Reach your audience. Deliver your message. • …and even enjoy the experience! If you are regularly required to speak in public and deliver results, then it’s crucial you know how to structure and deliver memorable speeches so you can make an impact. Whether you’re a senior executive, a CEO, or you just want to find more confidence speaking in meetings and on the phone, this intensive mentoring will help you harness the power of spoken communication, hone your core messages and build robust and versatile speaking skills.